I was once asked how have crafts inspired your writing? Well, I can’t sew a straight line. I can’t knit without dropping stitches. And I’m sure my signature dish of French Toast would be laughed at by Gordon Ramsay. But I get creative in the kitchen in a different way – by making soap! Even before Lush opened their first store in Southern California, I was a huge fan of their products. I’d ordered several of their soaps from Canada and eagerly awaited the package’s delivery. I was impressed with the appealing chunks of goodness as they cut the soft soap from a large cheese-like wheel. All were nasal bliss, and did the job of cleaning and softening quite well. I’d never used glycerin soap before and back in 1997 there wasn’t that much information about it online. A few companies sold it in bulk and after making my first batch of soap with some marigold [calendula] petals on top, I was hooked. I immersed myself in learning how to make soap and found it easy to concentrate on what I was doing. I guess I could compare it with writing. The soap base is the story. The shape of the mold is compared to the characters and their motivation, the color equals dialogue, and the fragrance corresponds with the tone of the story. Wrapping and labeling is like the sense of location[s] found in a novel. Writing involves sitting in front of the computer and staring at the monitor. In the kitchen is where I decide what type of soap to make and I concentrate on that. The creativity involved can be spontaneous…for my La Brea Tar Pits soap I used a plastic cookie liner for a mold and the name came from the nearby tar pits. Tea tree essential oil removes tar from the skin as does lavender, and it enhances the aroma. Whole oats help clean and soften the skin, and cornmeal is an exfoliant, removing excess dirt. Each element has its place. Taking the same creativity I use when designing soap and other bath & body products, writing about soapmaking is easy. I see it as sharing the joy of a fun and crafty hobby [tho’ it was a business for me for almost five years]. 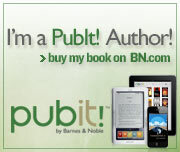 I hope to make everything easier for the reader so they don’t make the same mistakes I did. The recipes I’d created over the years were all handwritten. 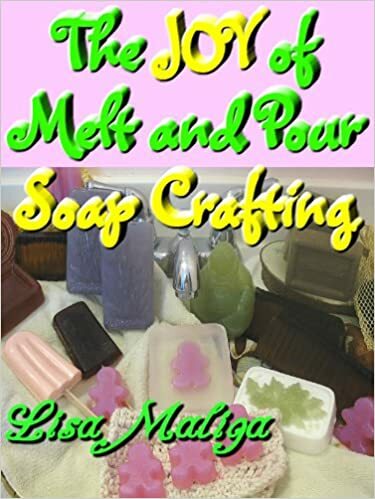 When I wrote The Joy of Melt and Pour Soap Crafting, I actually typed them out for the first time. To this day, every product I make always involves writing down all the ingredients so I know what fragrances I’ve blended, what oils and butters I’ve used, the amounts, etc. I also remembered what it was like when I made my first batch of soap using one page of instructions. I wanted more information as I had many questions. And just like my writing, I’ve learned it all by doing. By making hundreds of batches of soap, and by writing hundreds of thousands of words. 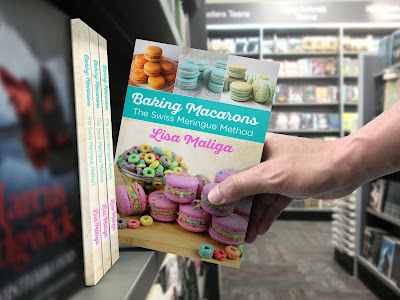 Lisa Maliga is an American novelist and nonfiction author of several soap crafting books. 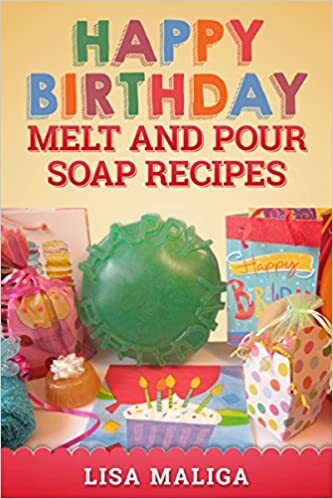 She's recently released "Organic and Sulfate Free Melt and Pour Glycerin Soap Crafting Recipes" and "Nilotica [East African] Shea Body Butter Recipes [The Whipped Shea Butter Series], Book 1." Lisa's coming of age novel set in the 1970s and 80s is a book that took more than a decade to write. 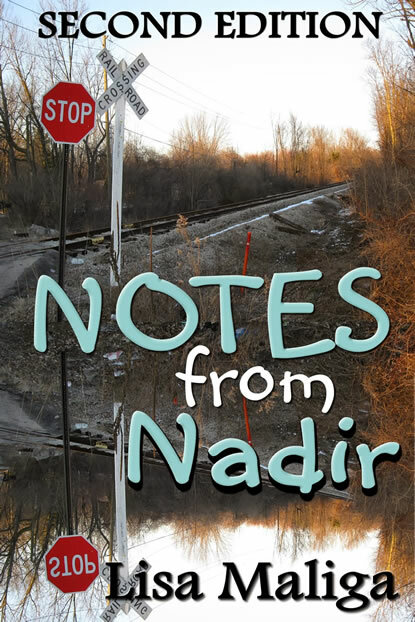 A reader wrote, "Out of the Blue: A Novel is a story about a young woman's journey to emotional maturity but there is an underlying thread. That thread is the connection between intuitives which will be familiar to anyone of an introspective bent." She is also working on the fourth book of the Yolanda's Yummery Series. When not writing, Lisa reads an assortment of books, watches movies, makes soap/bath and body products, and bakes late at night. Sometimes she manages to escape to a quiet park and photograph animals, especially squirrels.